Become immersed in a miniature world where a leaf weighs as much as a car, a single raindrop can quench the largest thirst and a blade of grass soars like a skyscraper. Bugs! 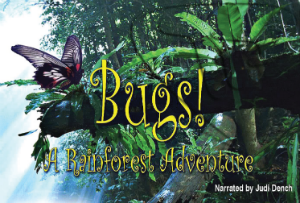 gives students an up-close view of the extraordinary world of insects and introduces a lively cast of characters who must fight for survival in a world where predators lurk at every turn. This documentary-style film explores the entire life cycle from birth to reproduction to the insects’ ultimate position in the food chain.